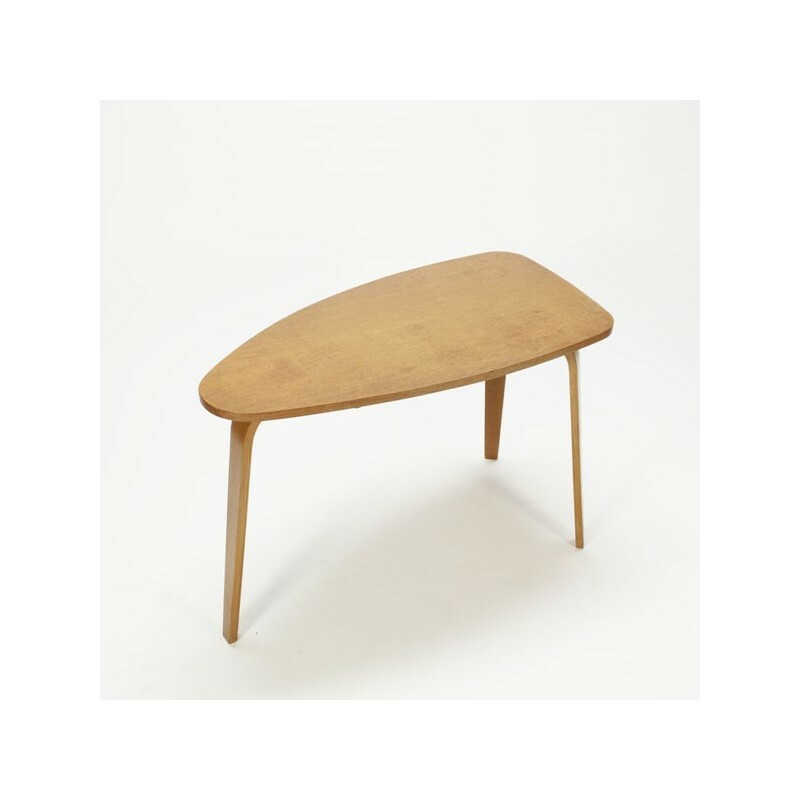 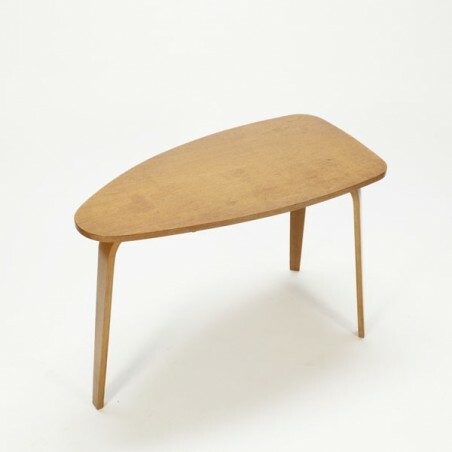 Vintage table to use as a coffee and / or side table from the sixties. 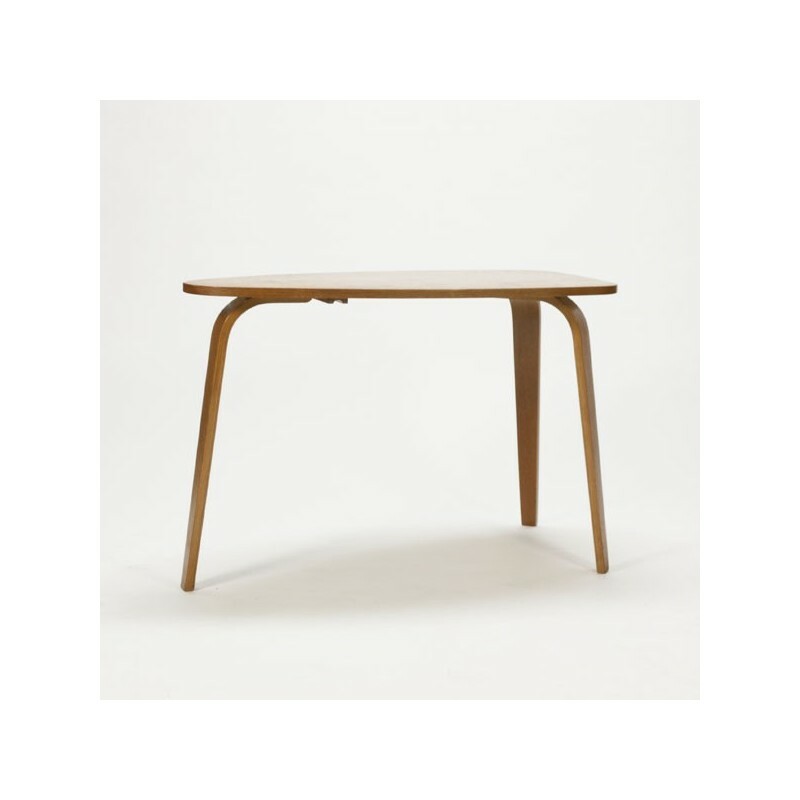 The table has a beautiful design and stands on three plywood legs. 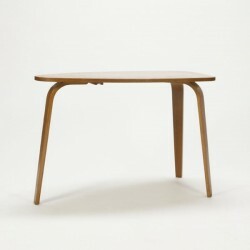 The table is designed in the style of Cor Alons / Cees Braakman, but we can not document the table. The condition is good considering the age, the size is 91.5 cm L / 48 cm W / 60,5 cm H.